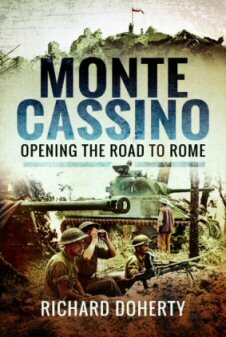 Military History Books, MONTE CASSINO: OPENING THE ROAD TO ROME,Richard Doherty, Pen & Sword,ISBN 9781526703293,Gustav Line, ARMORED BEARS: VOLUME TWO: THE GERMAN 3RD PANZER DIVISION IN WORLD WAR II,Veterans of the 3rd Panzer Division,Stackpole,ISBN 9780811711715, OSPREY MEN-AT-ARMS 508: WORLD WAR II CROATIAN LEGIONARIES,Vladimir Brnardic,Viseslav Aralica,Osprey,ISBN 9781472817679, JAPAN'S GESTAPO,Mark Felton,Pen & Sword,ISBN 9781848846807,Kempetai, OSPREY COMBAT AIRCRAFT 72: VULCAN UNITS OF THE COLD WAR,Andrew Brookes,Chris Davey,Osprey,ISBN 9781846032974,RAF V bombers. One of the bloodiest European battles of the Second World War was that from January to June 1944 for the Gustav Line, anchored on Monte Cassino and its Benedictine Abbey. Commanded by General Sir Harold Alexander, the Allied Army Group in Italy, consisted of the Fifth (US) and Eighth (British) Armies. Both were truly multi-national with some 20 allies nations involved. Allied commanders, using ingenuity, artillery and sophisticated close air support, triumphed over their formidable German adversaries. The book examines the campaign from the political/strategic levels to the tactical, using official records, accounts from commanders and participants, including interviews. 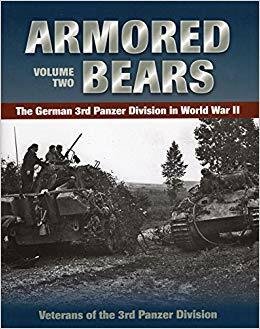 Produced by the Veterans of the 3rd Panzer Division, this book is the second volume of the First major treatment of the 3rd Panzer Division in English covers the division's battle on the Eastern Front from 1943 through to the end of the war The division had nearly 50 Knight's Cross winners by the end of the war. With Numerous photos of soldiers and their tanks in action, as well as tables of Knight's Cross and German Cross in Gold and Silver recipients. It is based on daily logs of the division, and recollections of its commanders and soldiers. As Europe descended into war the newly formed state of Croatia found itself an ally in Nazi Germany. Tens of thousands of Croatians volunteered for the German Wehrmacht, with Croatian-badged units in the Army, Navy, Luftwaffe, Waffen-SS and Police force. When Hitler turned his attention to Stalin's Soviet Union many of these men found themselves thrown into the fray, with Croatian soldiers serving at Stalingrad, fighting Tito's Partisans in the Balkans and battling against the advancing Red Army in Hungary. 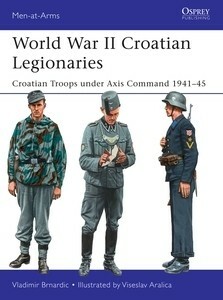 Aided by detailed illustrations, Vladimir Brnardic explores the uniforms and equipment of World War II Croatian Legionaries. This book explains the origins, organisation and roles of the notorious Kempetai which exercised virtually unlimited power throughout the Japanese Empire. The author reveals how they extorted huge sums of money from hapless citizens and businesses and ran the gulag system which treated Allied captives with brutality and a complete lack of mercy. Other Kempetai activities included biological and chemical experiments on live subjects and slave labour. Their record of reprisals against military and civilians was unrelenting, amounting to genocide on a grand scale. The best of the three RAF V bombers in the early years of the Cold War, the Vulcan possessed fighter-like manoeuvrability at low level despite its size. First flown in August 1952, it entered service in February 1957. Most were equipped to carry the Blue Steel stand-off missile, but in 1966 50 Vulcans were re-deployed in a tactical low-level bombing role. 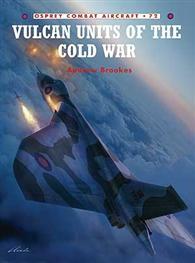 Three flew during the Falklands War, and the last Vulcans in service were used as aerial tankers until April 1984. The book include many in-flight photographs and detailed colour profiles. This is a timely examination of a distinctive and ground-breaking aircraft. New in card cover - A4 format, 96pp, numerous colour & b/w photos & illustrations.